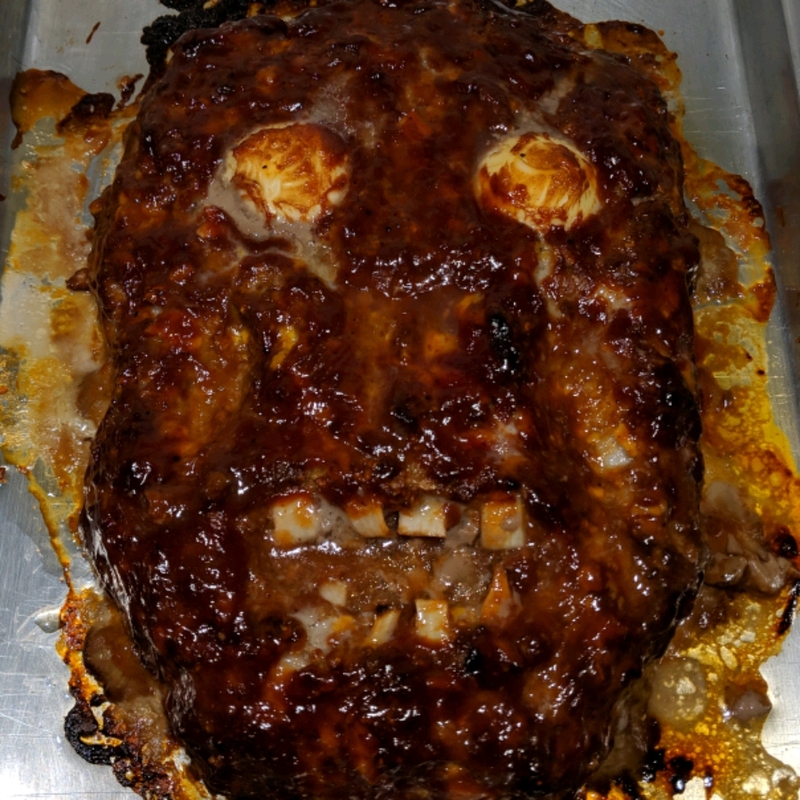 This is something I threw together for our family's special Halloween night. The boys absolutely loved it! I think this will be an annual tradition from now on in our household! Preheat oven to 350 degrees F (175 degrees C). 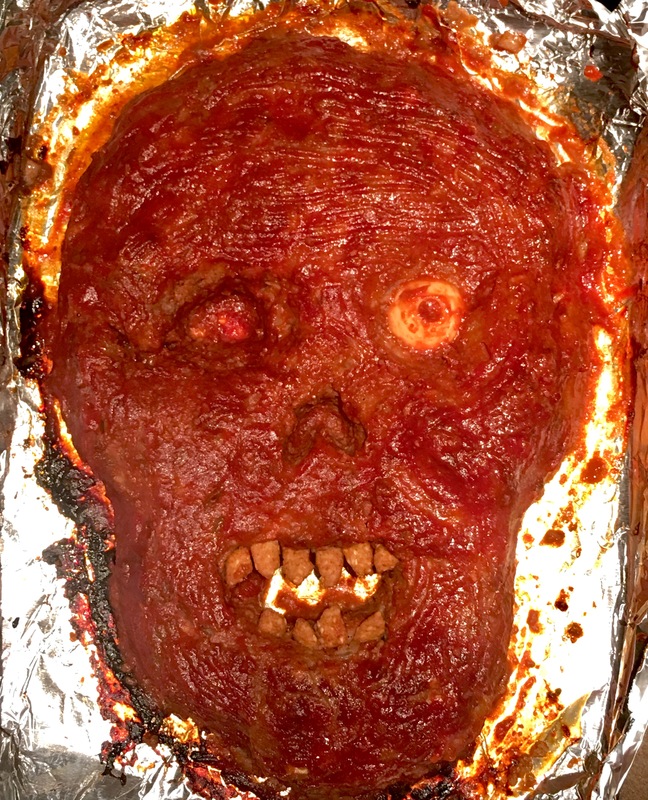 Line a baking sheet with aluminum foil and grease the foil. Mix ground beef, onion, crackers, milk, Cheddar cheese, eggs, Worcestershire sauce, and seasoned salt together in a bowl. 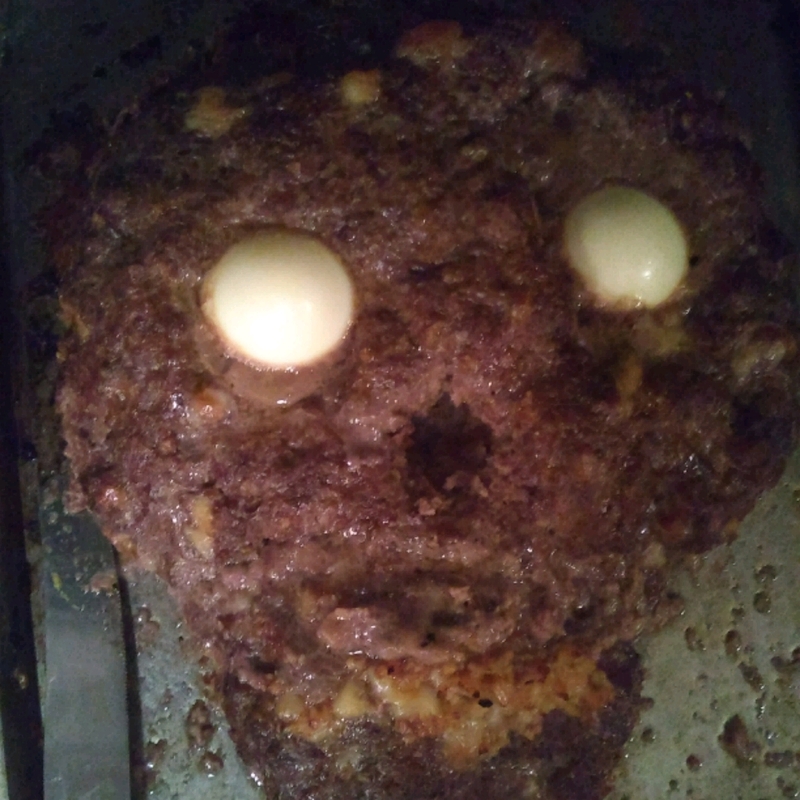 Transfer beef mixture to the prepared baking sheet and form into a skull-shape, leaving holes for "eye sockets" and a "mouth". 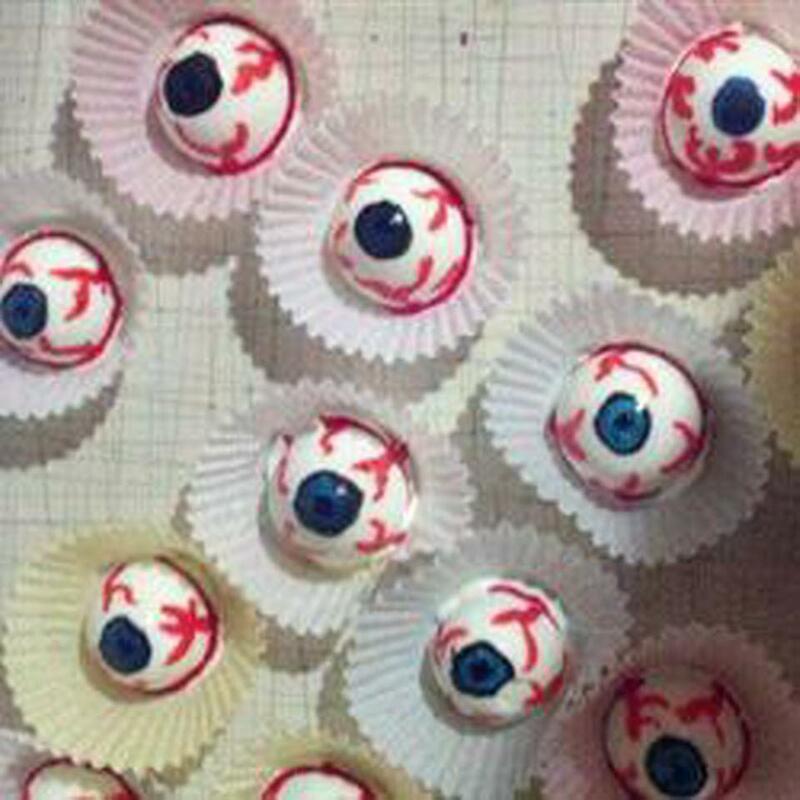 Place hard boiled egg halves into the "eye sockets", shaping the beef mixture around them to hold in place. 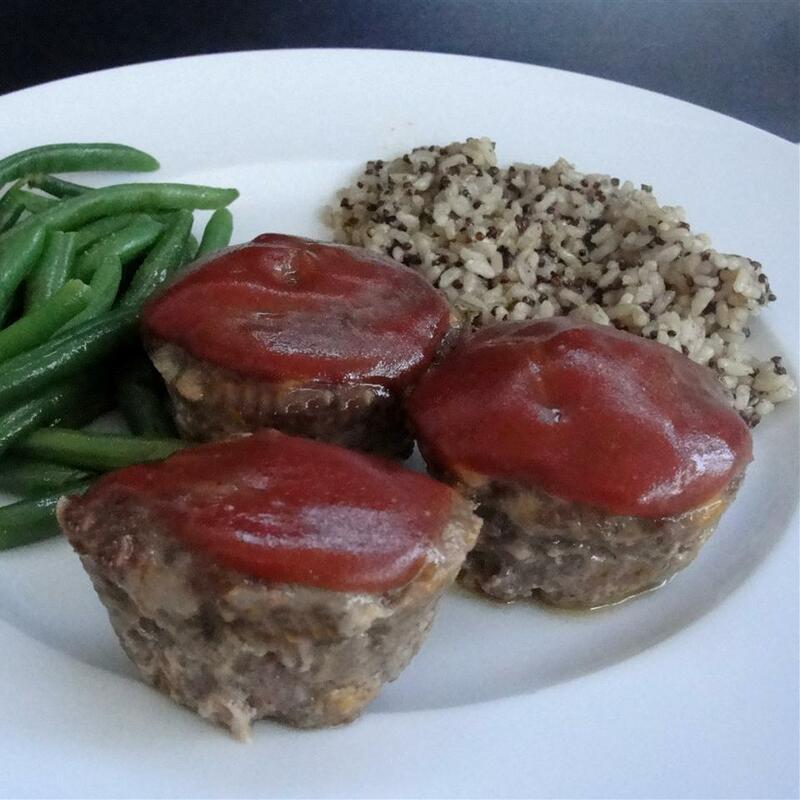 Mix ketchup, brown sugar, and barbeque sauce together in a bowl until sauce is smooth. Spread 1/2 of the sauce onto the entire beef mixture, including the "eyes" and "mouth". Bake in preheated oven until no longer pink in the center, about 50 to 60. An instant-read thermometer inserted into the center should read at least 160 degrees F (70 degrees C). 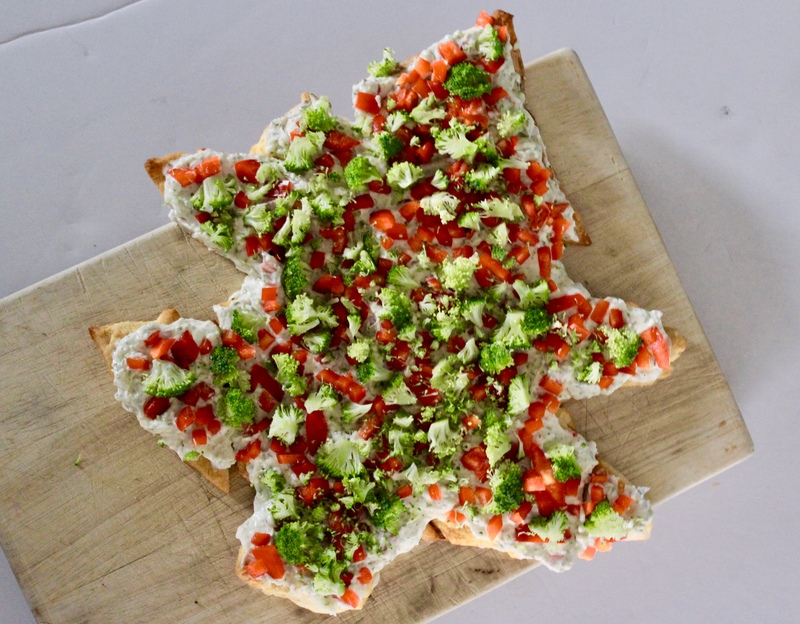 Arrange the garlic pieces in the mouth for the "teeth". 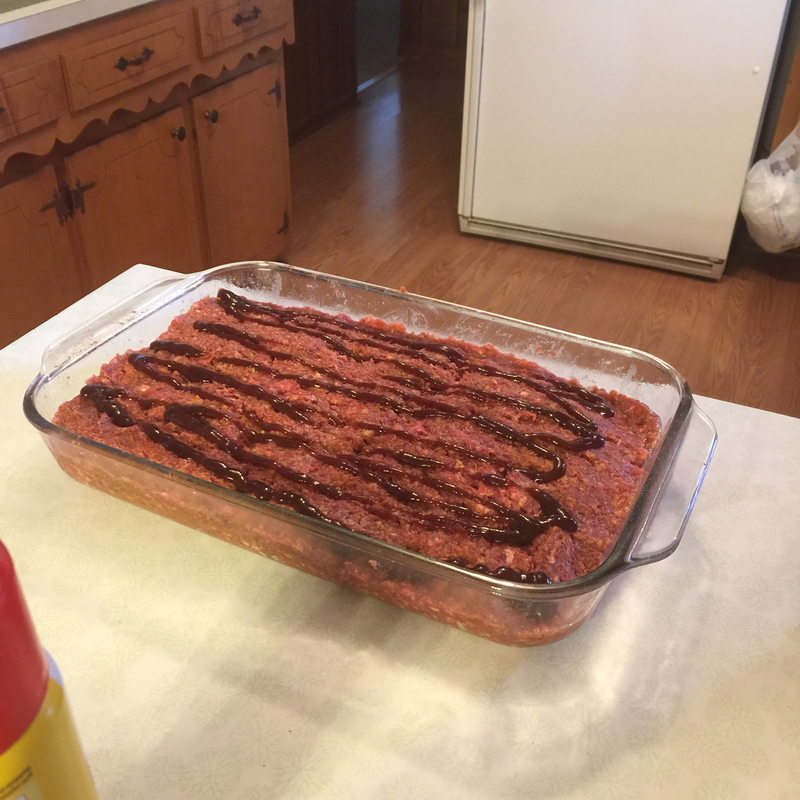 Brush the remaining sauce over the meatloaf or serve on the side. Can be molded into any desired shape. 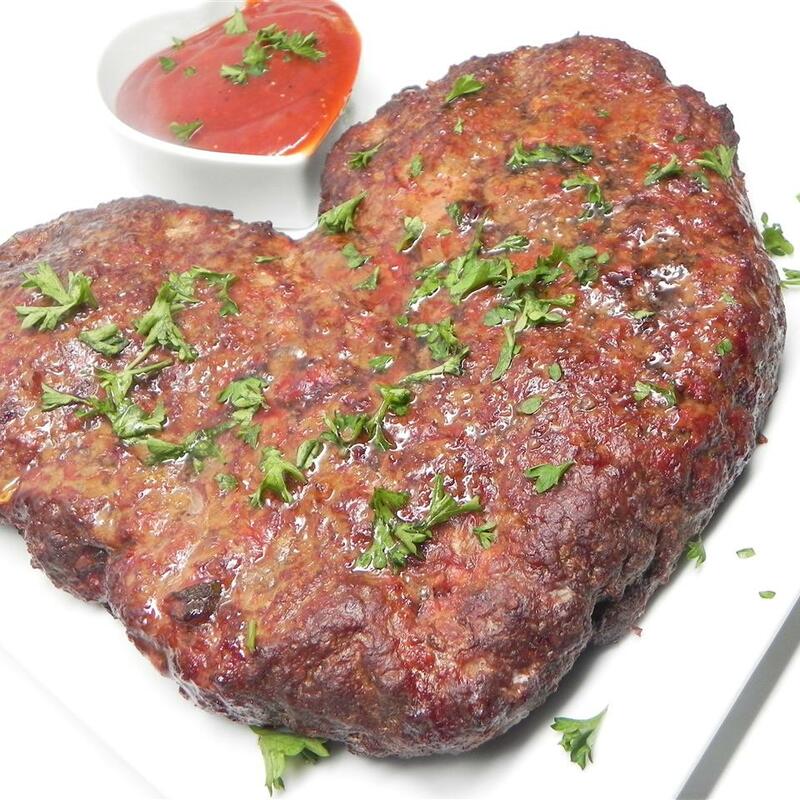 Juices from ground beef may collect in the holes while baking and can be spread with a basting brush over the head after cooking contribute to the effect of "rotting flesh". Dehydrated garlic chips can be found in health food stores in the bulk section. You may substitute sliced almonds or anything else that resembles teeth. You can do just one hard-boiled egg "eye", if desired. 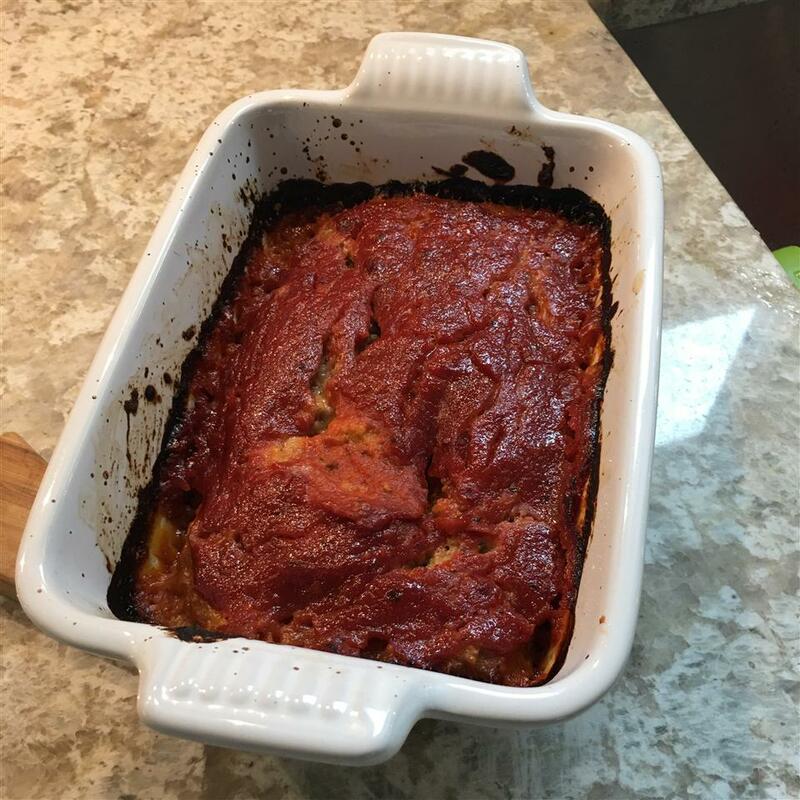 The Most Easy and Delish Meatloaf EVER! 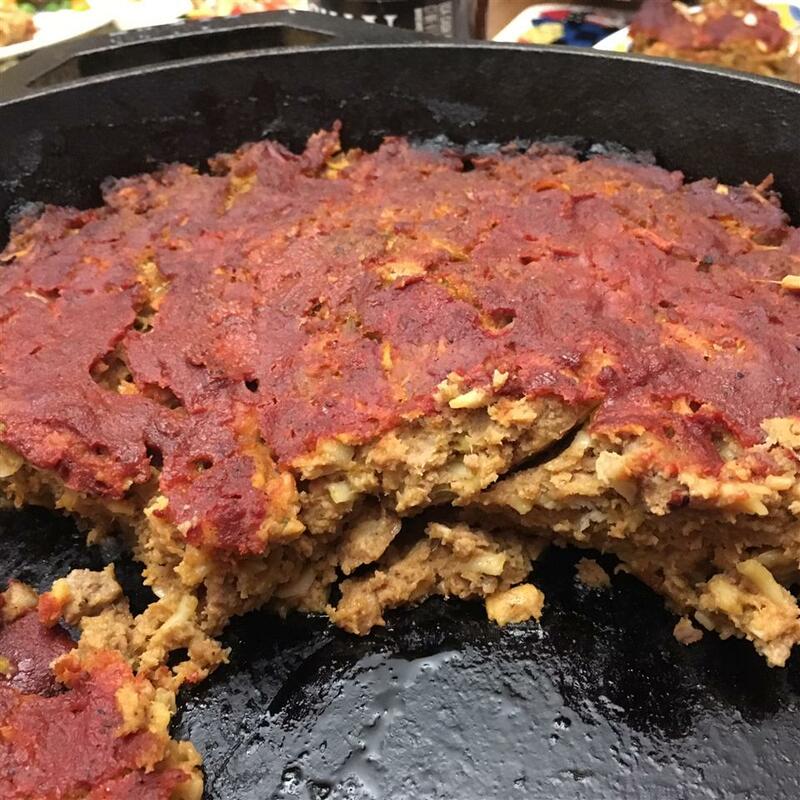 Momma Shea's Best Ever Meatloaf! 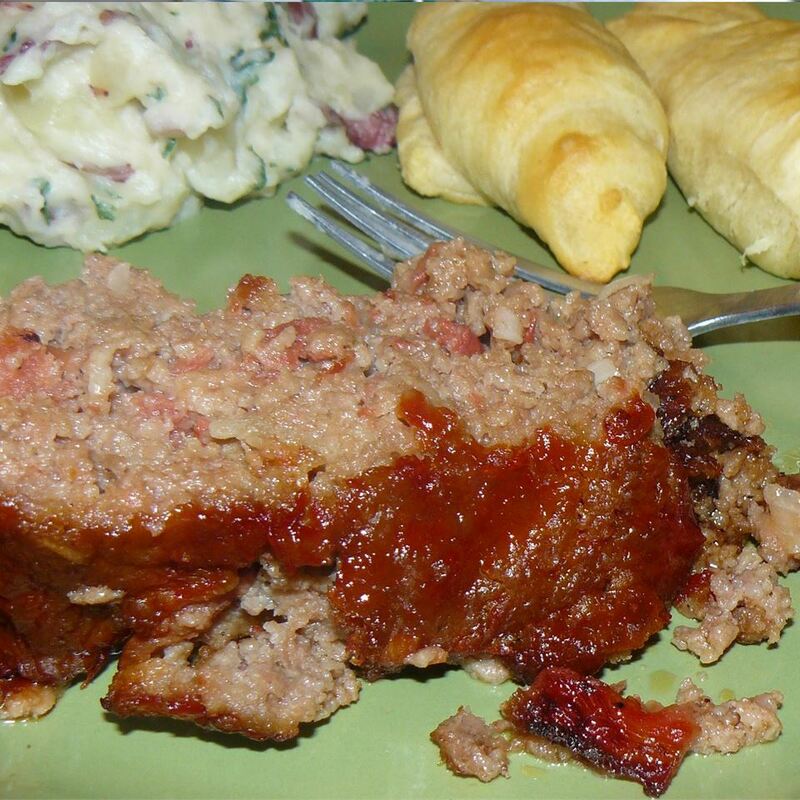 This was a great idea and simple recipe especially since I&apos;m not a big meatloaf maker. I followed the recipe exactly but included some minced garlic and scallions I still had. The ritz crackers I got happened to be the Italian seasoning one and oh wow I think it really enhanced the flavor of the dish! I thought the sauce was a little sweet so would in the future omit or reduce the amount of brown sugar. I don&apos;t understand why I would leave some on the side though because the brown sugar was still crystallized and crunchy so I made another side batch without the sugar at all and it was tasty. The cooked sauce melted the sugar so no issues there. Regarding the garlic teeth- I inadvertently turned them green!! Became an incredible effect and perfect considering it&apos;s a zombie! 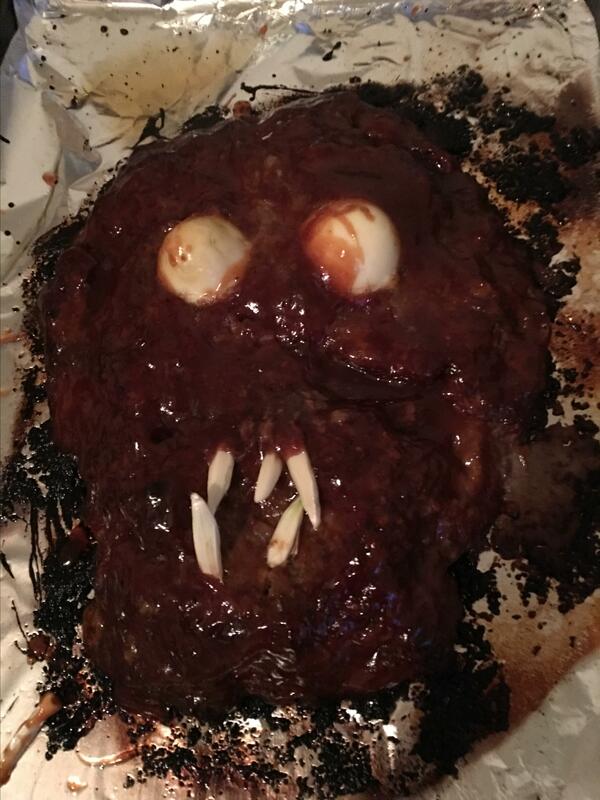 I had cooked the meatloaf the night prior then added the fresh cut garlic pieces as teeth. I left it overnight since it was for a potluck at work and the next day the garlic teeth were green! I freaked out at first thinking it was mold but it wasn&apos;t- the vinegar from the ketchup that touched the garlic caused some sort of reaction to turn it green! It&apos;s the sulfur or whatever that does this and it&apos;s still totally edible. 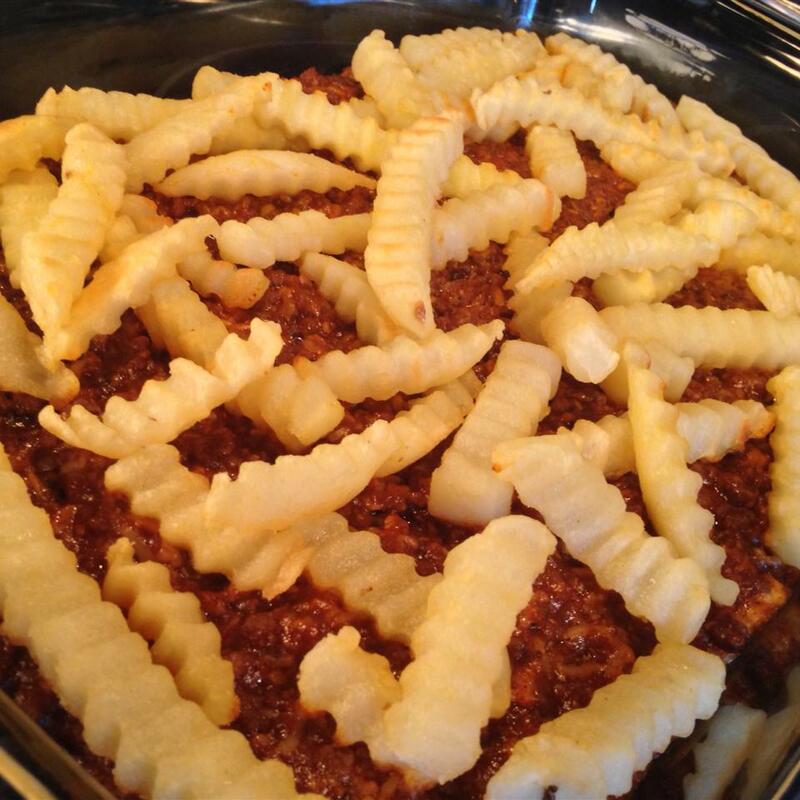 Perfect perfect for this dish! 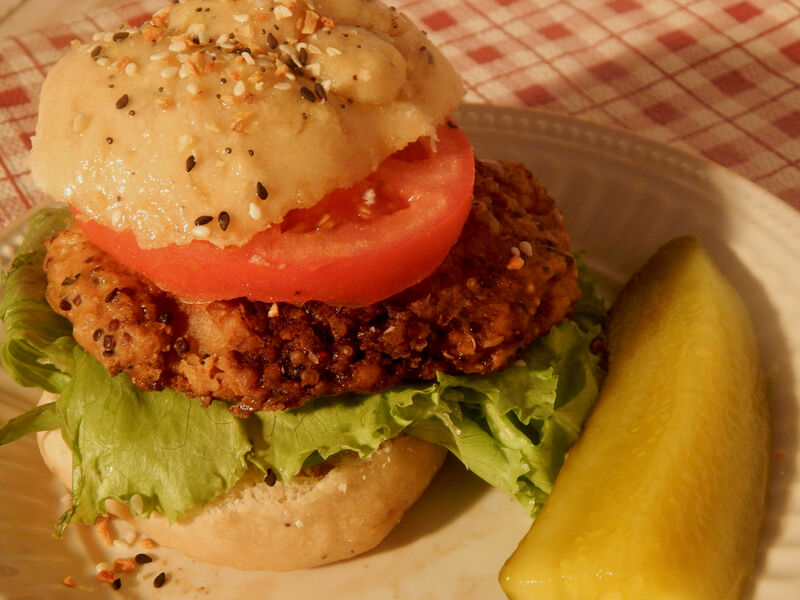 Thanks for the idea and simple recipe. 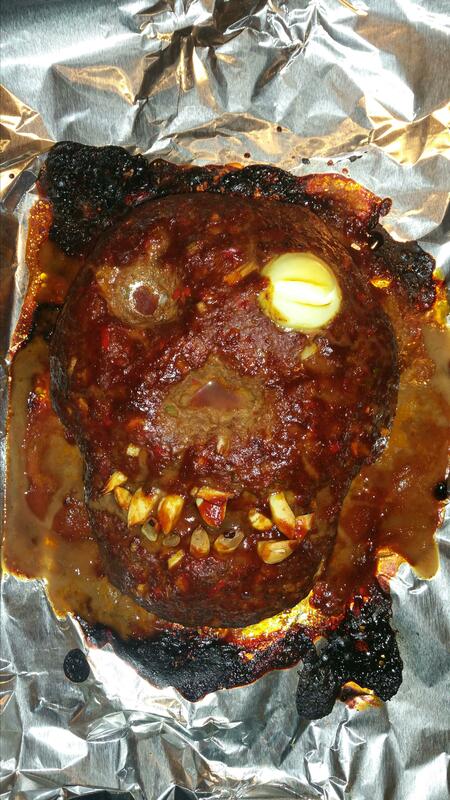 I left out the garlic and boiled egg since I made this into a normal meatloaf instead of a zombie. It was quite good although quite crumbly and the onion was obvious. I did use 1/2 cup of dried onion though. My family loved it! It definitely needs the extra sauce for serving. I served it with potatoes and carrots. 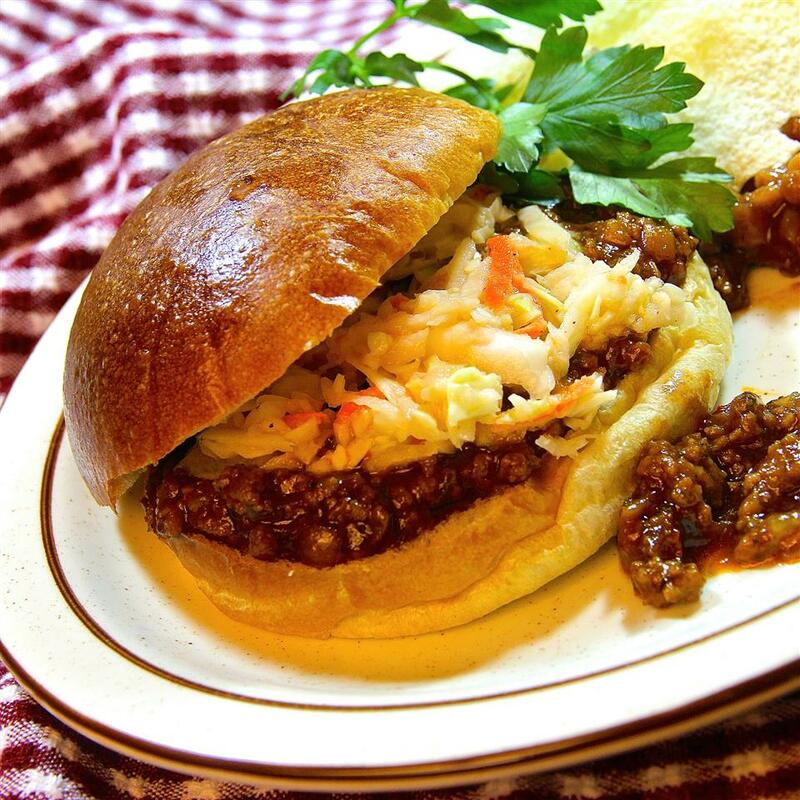 I also used hickory smoke sauce in place of barbecue sauce. 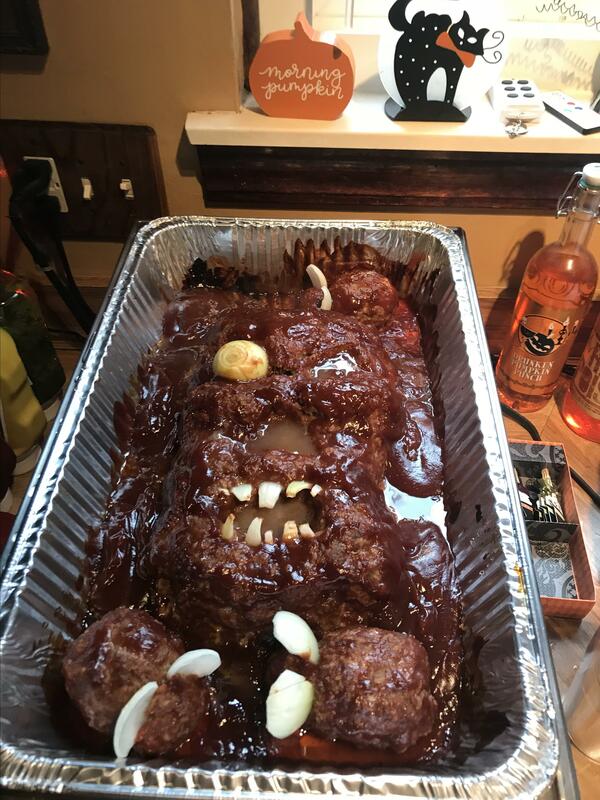 I know it is not Halloween yet but I love Halloween and begging Oct. 1st the decorations come out and at least 3 times a week I make a "scary" Halloween meal. With that said I wanted to practice how well this would turn out so I made it yesterday. 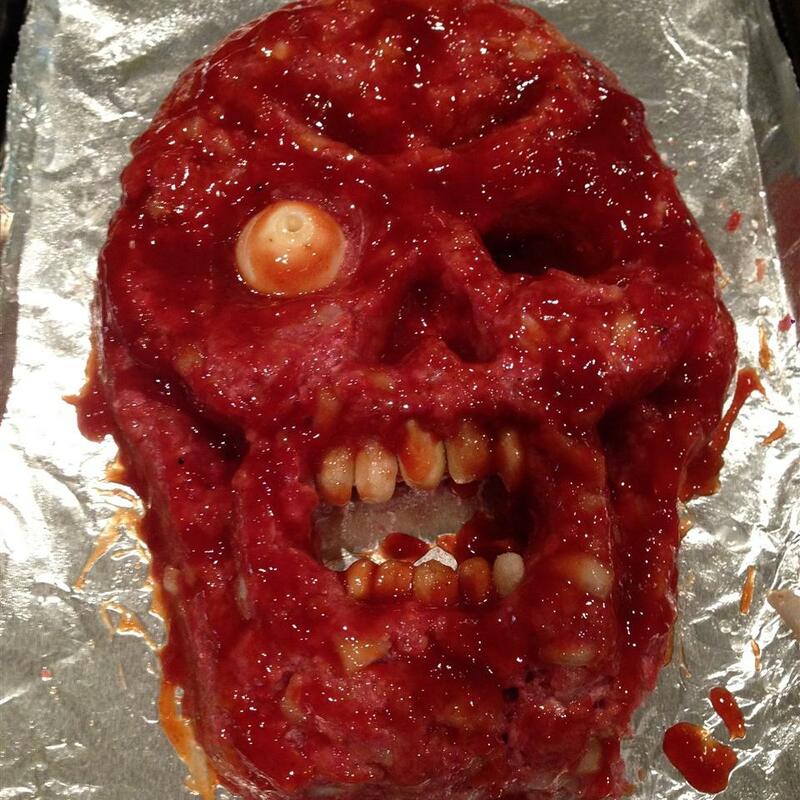 Making the zombie was surprisingly easy. 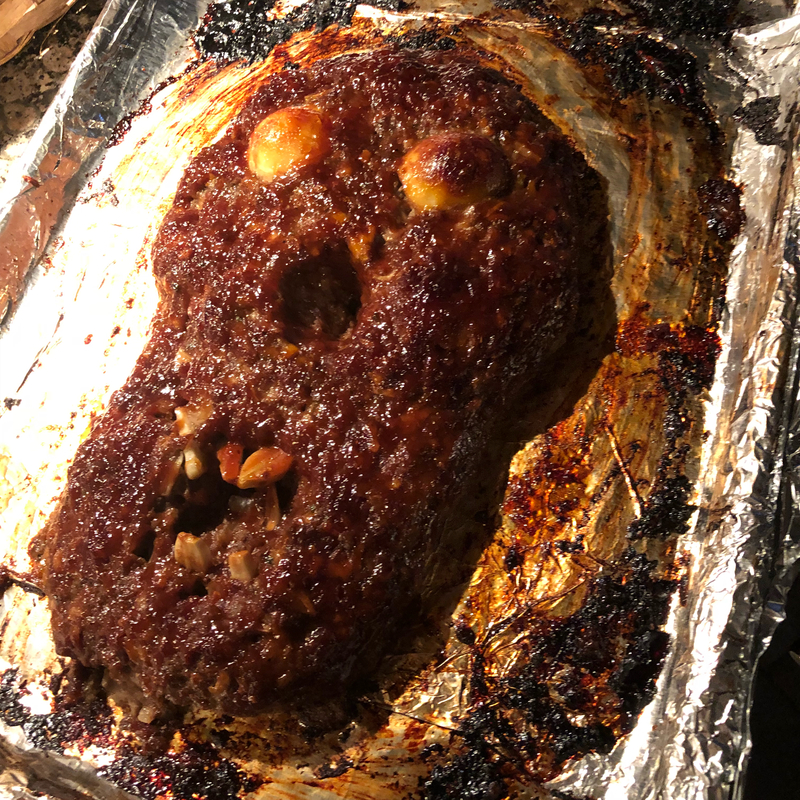 I did however use my own meatloaf recipe! Thank you for the awesome idea! This turned out perfect!! 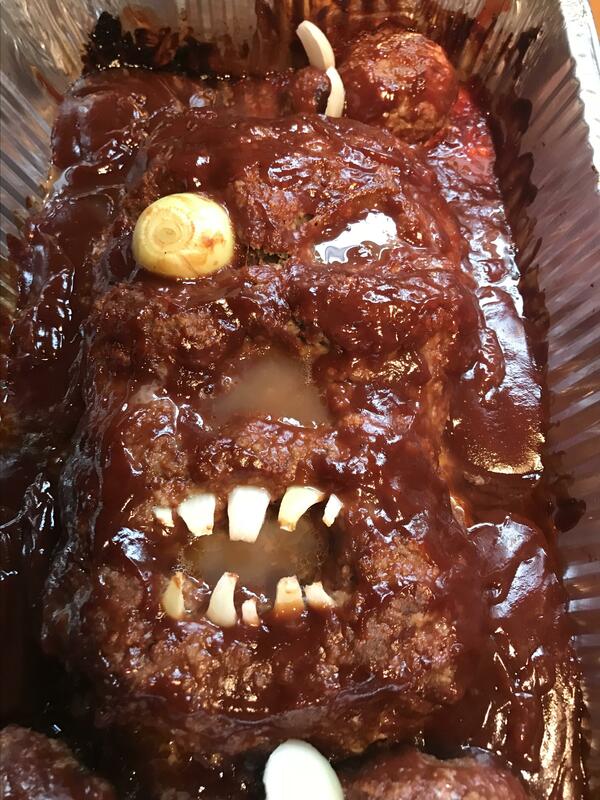 The taste of the meatloaf was phenomenal! 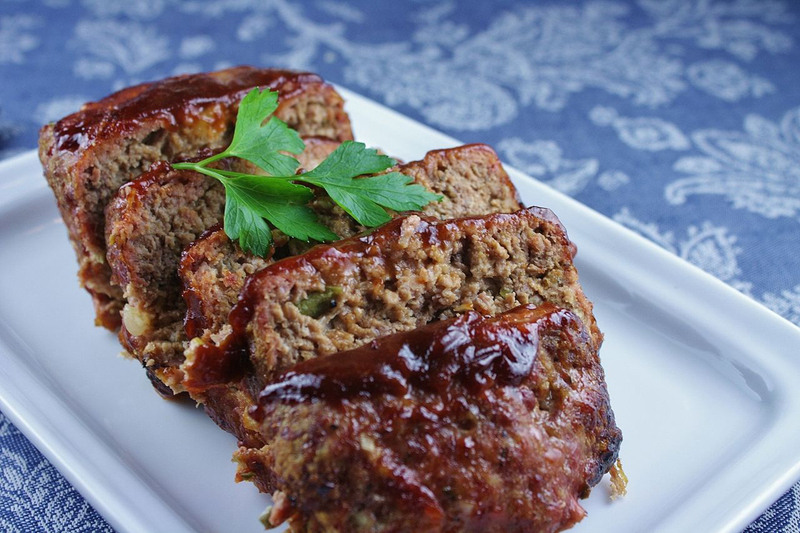 Whenever I make meatloaf I always use a new recipe since I haven&apos;t found "the one". This is it! The only difference is that I added some garlic to it but made it exactly otherwise! It was super easy to shape the zombie watching the video. Thanks! We loved it and it brought many smiles and giggles! 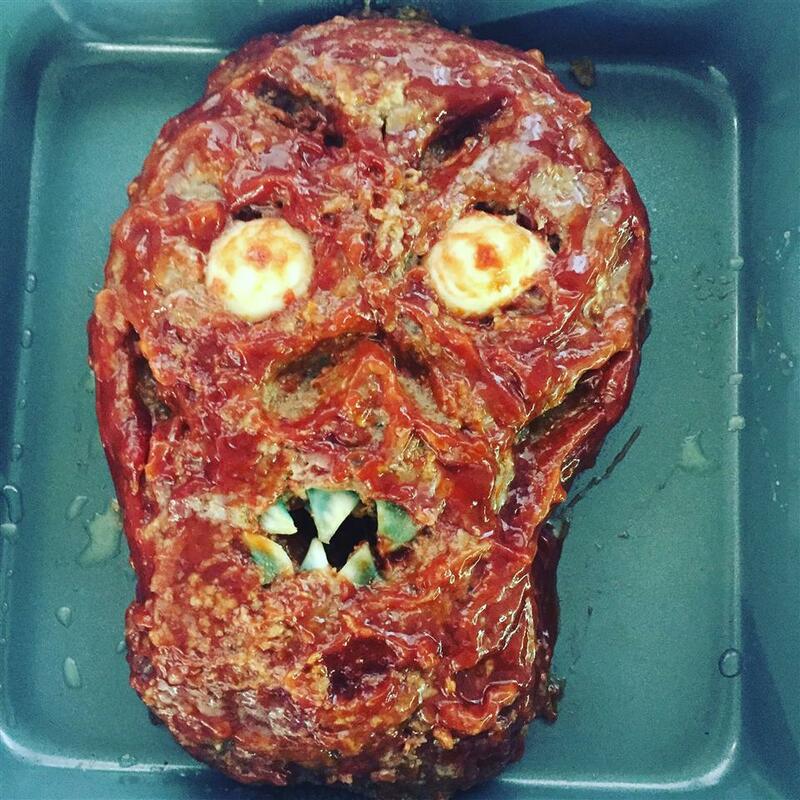 This was such a fun halloween recipe to make! 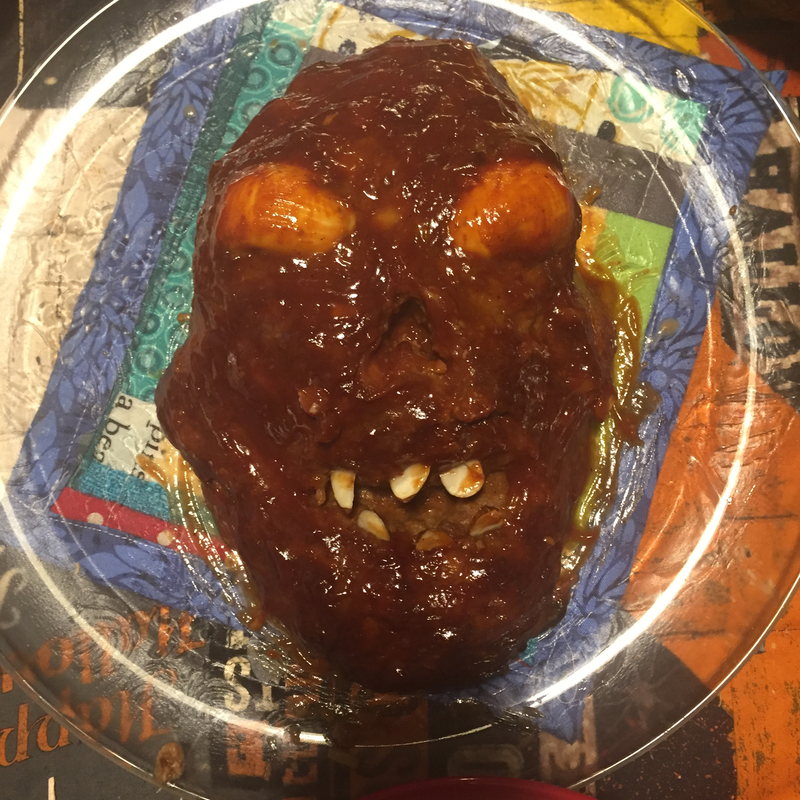 Made a really fun (and teenager-approved) Halloween dinner! My 3 yr old son loved this! 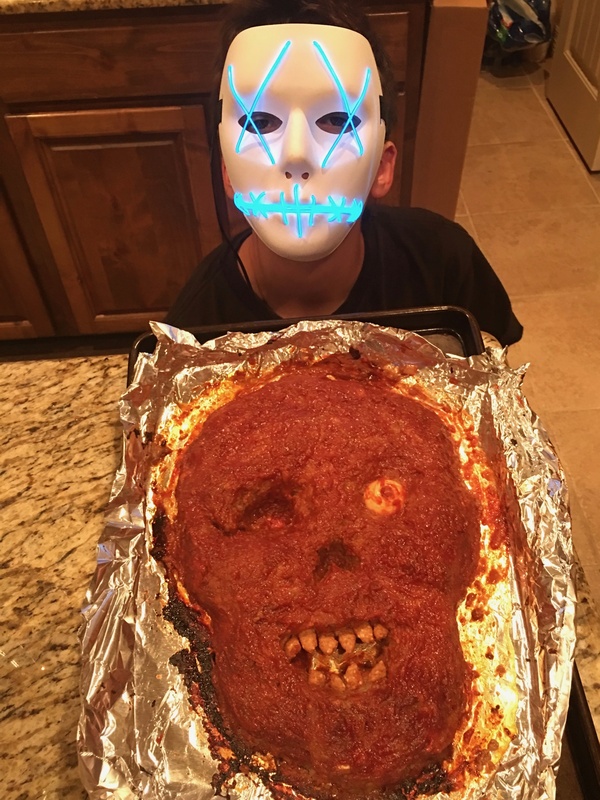 It&apos;s an inexpensive practical and fun way the family can spend time enjoying Halloween! I substitued rice for the crackers since my kiddo has celiacs! Also I didn&apos;t have cloves so used olives! I made two of these one for my son&apos;s family and one for us. This was a lot of fun and everyone raved about it. 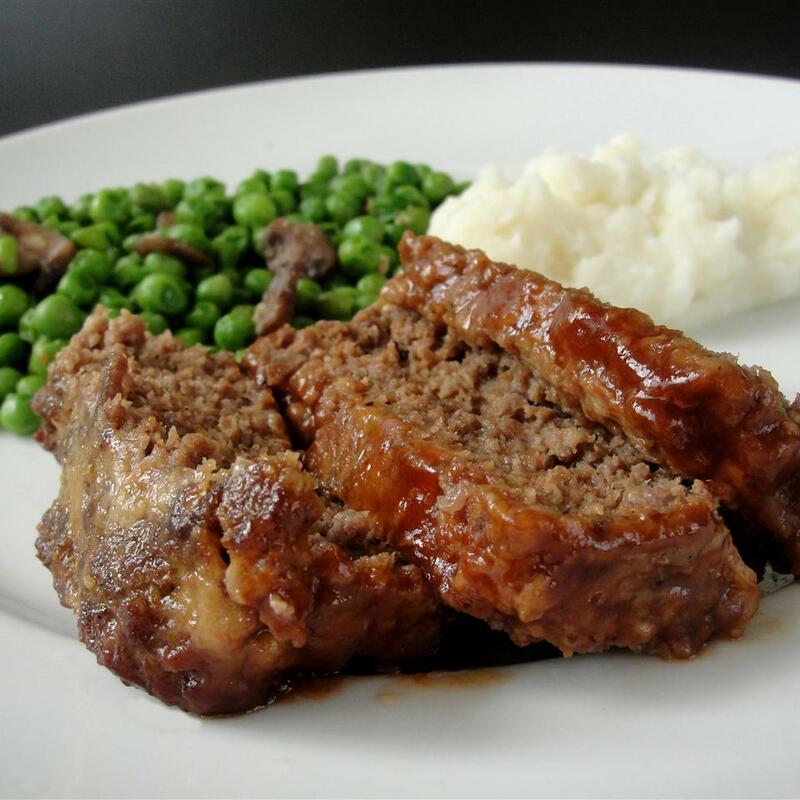 I did think the meatloaf recipe looked a little plain so I added a large diced carrot and some chopped celery to each. The sauce was great made it exactly as per the recipe. This was so easy to make. Used almond slices for teeth. 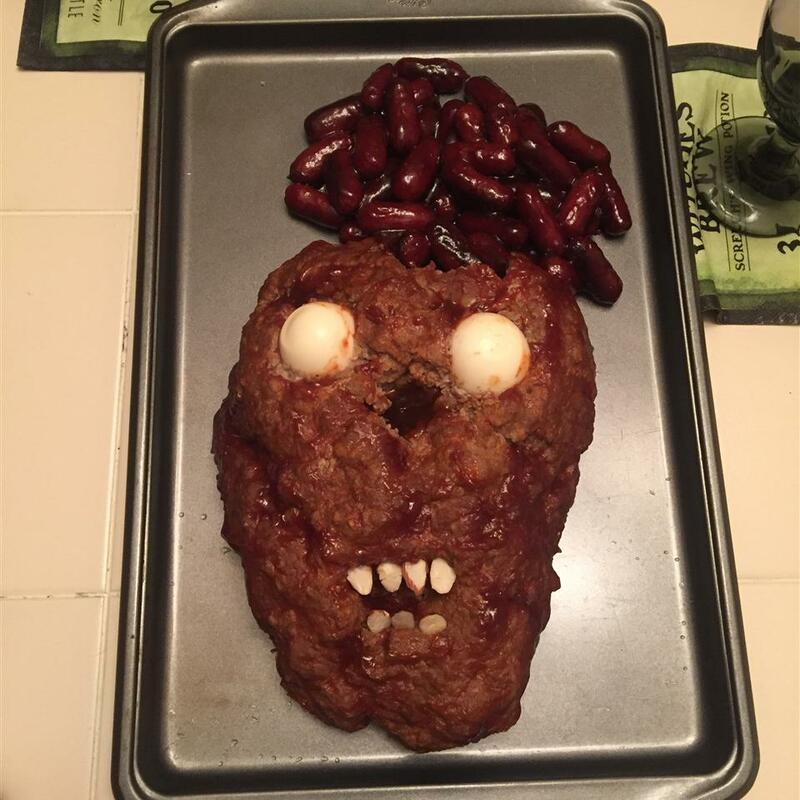 And used cocktail weenies in BBQ Sauce for "brains" that spilt out. Was over all amazing.